Pick Your Door.. Any Door! First impressions are everything. We’ve all said it and so has science. There’s every reason to believe that the rule applies to homes as much as it does to people. Every real estate agent lives by this principle, and the entire field of home staging exists because of it. The only reason Odd Job has built such an impressive family of commercial and residential clients is because we provide them consistently excellent service. If someone is visiting you, what is the first thing they notice when they walk up to your door? You guessed it. Your front door isn’t simply a point of entry and exit. It’s a key part of your home’s curb appeal – many home designers say that it’s the first part of your home’s exterior that people notice! What’s more, it’s the perfect project for winter. Many of us have already turned on our heating systems, and are looking for ways to reduce heat loss in our homes. The time is now to repair and upgrade the entrances to your home – a field your friends at Odd Job have specialized in since 2008. If you want your home to give people a great first impression, you should start upgrading where they start looking. In the mean time, you want to With that in mind, I think the best place to start is to pick your door. When you begin your search for a door, you should be considering a number of factors. I know, it’s that amazing first impression that you’re looking for – and you’ll get it. When you pick your door, however, you should also be thinking about energy efficiency and security. Curb appeal, energy efficiency and security are in fact the three most common reasons why people have older doors replaced. The newer models make it much more difficult for intruders – whether they come in the form of human beings or just the freezing cold air – from gaining access to your home. 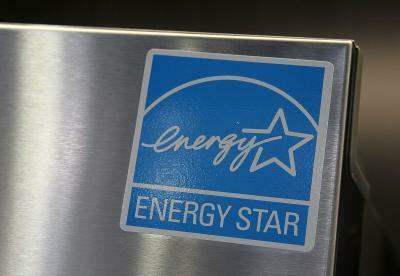 Before you pick your door, make sure it has Energy Star’s seal of approval! So in the interests of safety, aesthetics, the environment, and your pocketbook, let’s pick your door. You deserve a new one! French doors.. they’re classy, they’re stylish and it’s always been that way. Their timeless beauty is only the main reason why you should consider them when you pick your door. They’re sometimes referred to as windows because they serve precisely the same function. The wood frame connects a ‘net’ of large glass frames that allow natural light to kiss your home’s interior and highlight its beauty to the world. This transparency also allows homeowners an ideal view of the great outdoors. The downside to this marvelous view is that it takes considerable time and effort to maintain. The panels must be cleaned regularly, and the door itself requires thorough weatherproofing. Like so many beautiful things, French doors are very delicate. If you’re confident that you can maintain them, they would be an excellent choice and we’d be happy to install them for you. If you need one but don’t have the time, energy or knowledge to maintain it, we can help you there too. 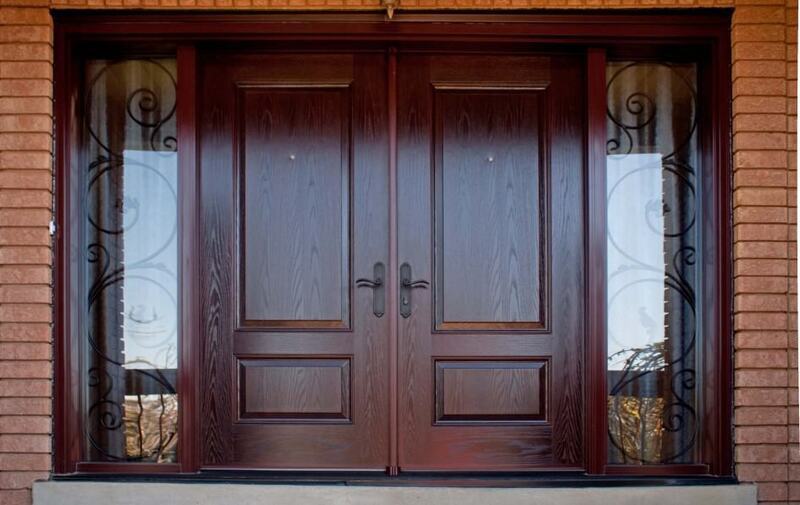 Sometimes classy means classical, and few things better embody that style than a panel door. Usually coming with four, six or eight panels – one of them often used for a window insert – they’re traditional to the core, and definitely an option to keep in mind when you pick your door. After all, who hasn’t dreamed that they would one day open a door exactly like this to their picture-perfect home? This is a dream door. There is beauty in simplicity, and in this case the proof is in the panels. Framed by stiles and rails, the panels form elegant patterns. No matter which way it swings, you have a piece of woodwork art inside your home and one that serves a very a practical function. And as with all other woodwork, you can easily get one hand-crafted and have absolute control over both its size and the design. The downside to all of this is that wood is very vulnerable to direct sunlight, moisture, and hot and cold temperatures – in other words, the conditions that your door is constantly subjected to. Be sure that your panel door is insulated – they usually aren’t – and maintain it well. As with French doors, maintaining a panel door is going to require considerable time and effort. If you lack the time, talent and tools, give us a call at (416) 520-1161 and we’d be happy to help. 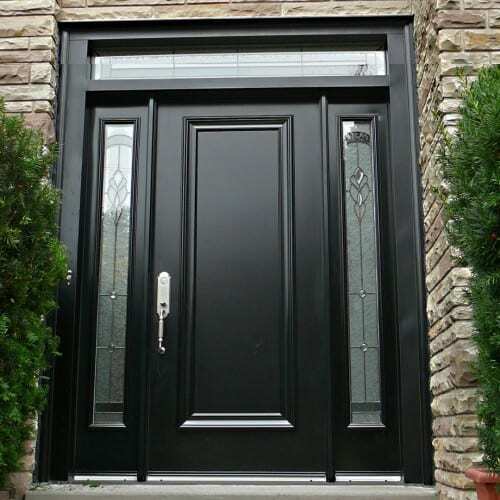 The fiberglass door has all the appearances of a traditional wood panel door – only it’s much more durable, more energy efficient and often much less expensive. If you want all the charms of wood without the burden of regular maintenance, then you may have found your door. Unlike wood, fiberglass isn’t going to crack, split, rot or warp. 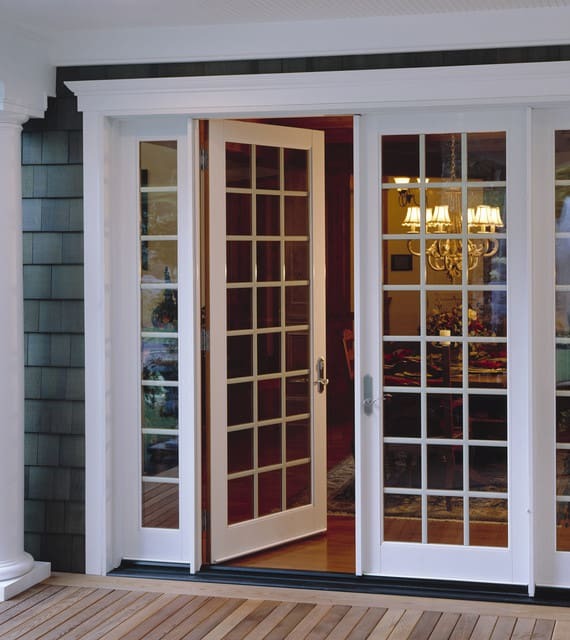 Inside every fiberglass door is a core of polyurethane foam, and because of this they have five times the insulative qualities of wood doors. An stark contrast to wood doors, fiberglass doors fare very well against the weather – even in heavy rain, snow and high humidity. Because of the insulation, they’re also much more energy efficient, and usually less expensive than wood doors. In other words, you – the homeowner – will save save money in both the short term and the long term. These doors usually carry a limited lifetime warranty – if the door was poorly designed and the materials don’t work as they’re supposed to, you’re covered for life. So where’s the downside? Well, from a design perspective there’s no replacement for the rustic feel of real wood. Furthermore, if the door is stained improperly then there will be no illusion at all and the door will look like plastic. 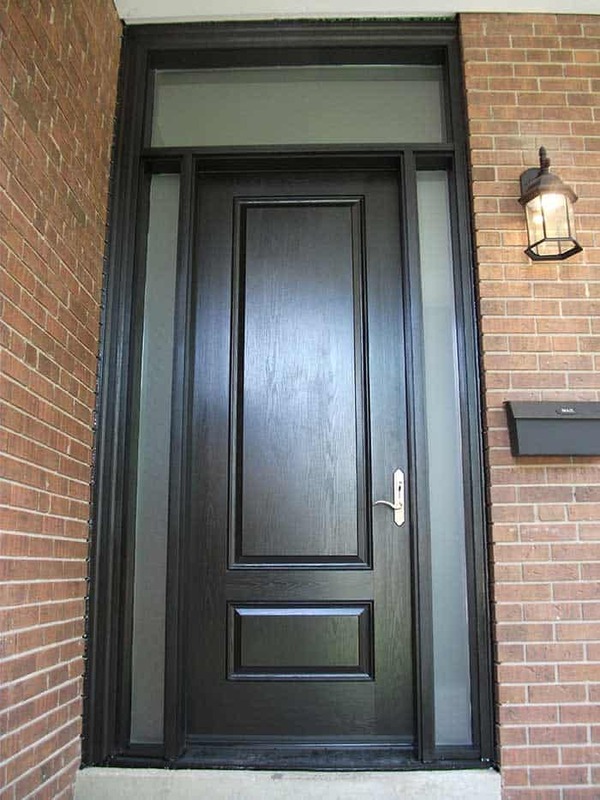 Avoid this by buying your fiberglass door pre-finished. Not every dealer offers this option, but it won’t be too difficult to find one that will. If you’re still not ready to pick your door, let’s take a look at an entirely different style sense. 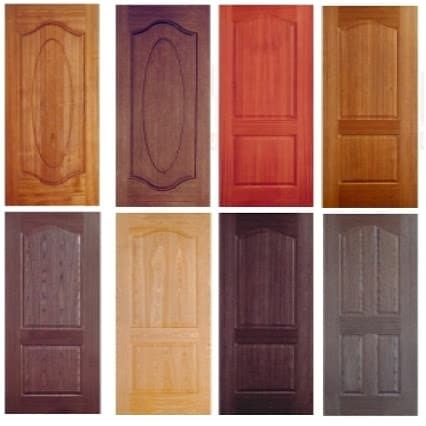 Wood panel doors offer a quaint rustic charm, steel doors are attractively modern. Once painted, their solid, smooth surface will gleam in the sun and the finish will look truly extraordinary. Steel doors are also well-insulated with high-density polyurethane foam, and so they are highly energy efficient. They’re also on average the least expensive of the doors we’ve looked at so far, and they require relatively little maintenance. Furthermore, a 2014 report on popular remodel projects concluded that homeowners who installed a steel front door recouped 97% of their investment! Steel doors are unquestionably the most secure. You can’t exactly kick one in, and they’re extremely difficult to bend – even with tools. Banks use steel doors, as do military bases and other institutions where uninvited entry isn’t appreciated. There are downsides, though. Just as wood will rot, steel will rust, and steel doors are notoriously easy to scratch and dent. Such damage can contribute to rust, as can rain, snow and humidity. There are, however, manufacturers who coat the steel in zinc oxide to make the door to prevent rust and corrosion. Many of them also feature a coat of weather-resistant material – often paint. Not every manufacturer will do this, and not all of the weather-resistant coats available will fare well under extreme conditions. Ask the right questions before you pick your door. This isn’t getting any easier, is it? Do you want people to enter your little dwelling through a wooden door? Or would you like to equip your personal fortress with steel doors? Or perhaps you’d like your doors to double as windows. If you’re still trying to decide, worry not – it’s never a bad thing to ‘keep your doors open’ – heh, heh.. no? 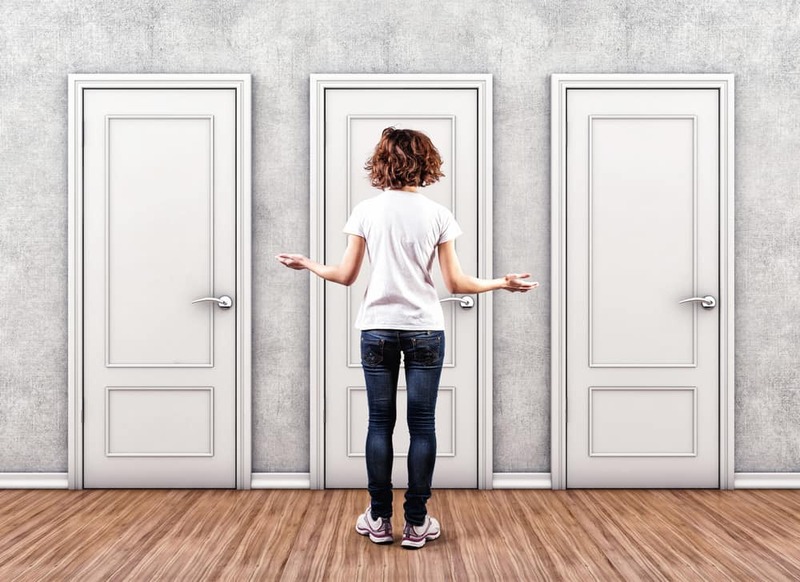 If you’re ready to pick your door, then it’s time to complete the final step and choose a professional door installer. There are many ‘door installation services’ that charge premium rates for shoddy work. 1. How long have they been installing entry doors? 2. Are they bonded and insured? 3. Are they a reputable company, or is next to nothing known about them? 4. Can they produce before-and-after photos of previous installations they’ve performed? 5. Do they have customer references? What are people saying about them online? Your friends at Odd Job pass this test with flying colours. How long have we been installing entry doors? Odd Job was founded in 2008, and since then we’ve been accumulating extensive experience installing and repairing every type of door you can imagine. We’re proud to call it a company specialty. 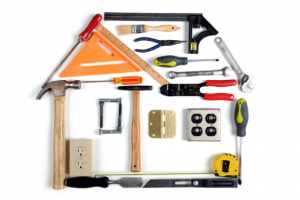 Is Odd Job bonded and insured? Yes! Our team is fully licensed, bonded and insured, covered by $5 million liability insurance and WSIB. Is Odd Job a reputable company? Among our constantly-expanding family of regular clients are some of Toronto’s most important businesses, including Fresh Restaurants, LensCrafters, Royal LePage and many, many more. We’ve also performed major projects for non-profit organizations like Kerry’s Place and the Toronto Business Development Centre. Can Odd Job show its work? Yes, and we do! Follow us on Facebook and Google Plus, where we regularly post photos and videos of our adventures on site. What are Odd Job’s clients actually saying? See for yourself! This entry was posted in Blog and tagged pick a door, pick your door. Bookmark the permalink.